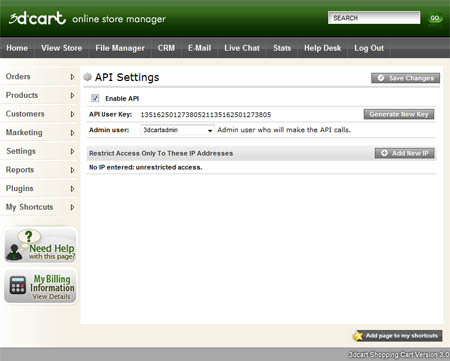 SmartFeed Product Feed Manager can connect to your 3dCart store through the use 3dCart's new API method. Activating a users 3dCart API will allow them to import their entire 3dCart store automatically. With only a few simple pieces of information from your store, such as your domain name and api user key, we can download all required data from your 3dCart store such as regular and sale price information, inventory information, manufacturer and dynamic urls of your stores products.